Easy to make chicken gyros that only take minutes to throw into the slow cooker! They are light and delicious and packed with amazing greek flavor! I have been all about my slow cooker lately. I am pretty obsessed with it anyway. I have like 8 of them but I love it even more after the holidays are over. Every single meal that I made last week for my family was done in the slow cooker. You just can’t beat taking minutes to throw a delicious meal in and have it ready to serve for dinner! The great thing about the recent slow cooker meals that I have made, like this Creamy Cilantro Lime Chicken, is that they only require a few ingredients and spices. They are light and packed with protein and keep you on track with your healthy eating goals. Because I love greek gyros so much I made this batch all for myself to have on hand to eat throughout the week. The chicken is just so tender and melts in your mouth. All of the greek seasonings combine to bring you an amazing full of flavor meal. It is so good served on warm greek pita bread loaded with delicious veggies. 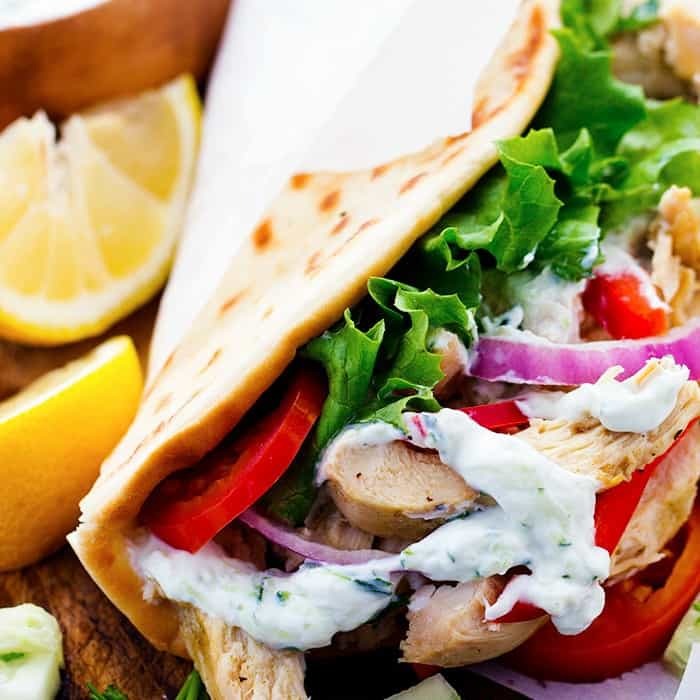 But the best part of a gyro is the tzatziki sauce… am I right?? 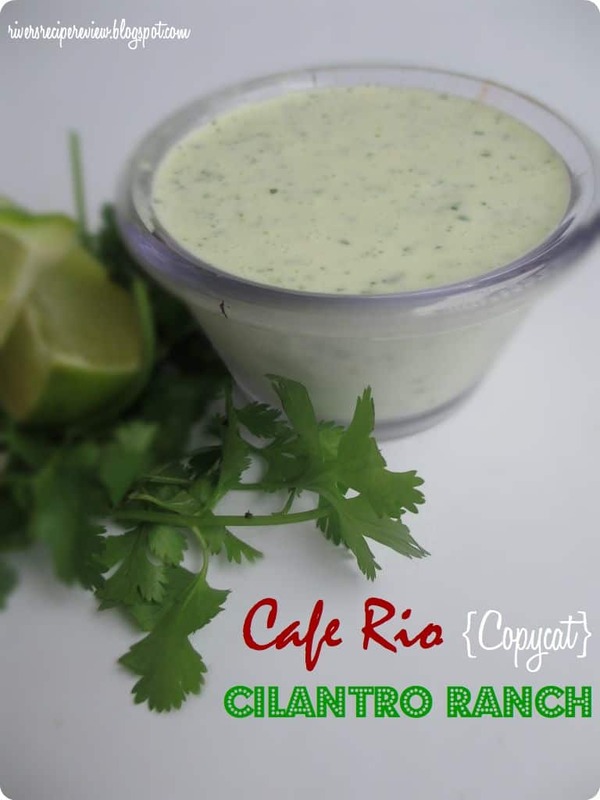 The creamy and delicious sauce with the fresh shredded cucumber inside is AMAZING! It is made with healthy ingredients like greek yogurt too. So you can enjoy this amazing and delicious gyro without feeling guilty about it. 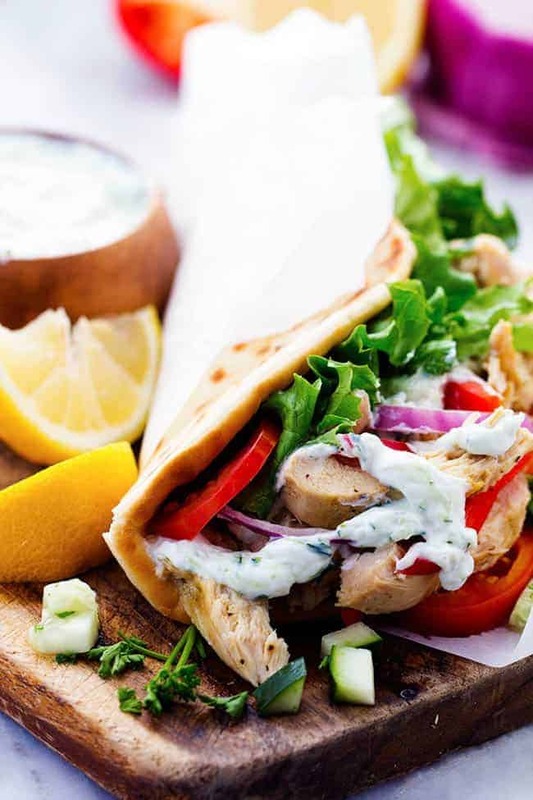 Easy to make chicken gyros that only take minutes to throw into the slow cooker! They are light and delicious and packed with delicious flavor! Spay a slow cooker with cooking spray. Add the chicken to the slow cooker. In a small bowl combine onion, garlic, oregano, salt, pepper, olive oil, red wine vinegar, lemon juice, and water. Pour over chicken. Cook on low for 6-8 hours or high for 4-6. To make the sauce: In a medium bowl combine greek yogurt, cucumber, garlic, white wine vinegar, dried dill week, dried oregano. Salt and pepper to taste and add lemon juice and drizzle olive oil on top. Refrigerate for 30 minutes to let the flavors blend. Prepare chicken on warm greek pita bread with desired veggies and sauce on top. oh yummy! this looks so good! I need to start using my slow cooker! Gyros are my FAVORITE FOOD EVA. This is happening asap. This was a big hit with my two rather fussy eaters (husband and son.) Thank you. Looks delicious. Are you supposed to add lemon juice to the tzatziki sauce? It is in the ingredients, but not the directions. Thanks! Do you shred the chicken after its cooked and then mix it back in with the juices? Also, what veggies do you recommend? And do you cook those in the slow cooker as well? recipe looks great! this will be my first time ever using the slow cooker. do you think it’s fine if i add frozen chicken and just cook it for longer? Just made these tonight and they were AH-MAZING! The sauce was excellent and we piled it on. Thank you for such a keeper of a recipe! Do you add a white or red onion inside the slow cooker? I see the red onion as a topping, but just curious. This recipe was a huge hit for my Bunco group! One woman is Greek and said the tatziki was spot-on❤️ I’m hosting another event this week and choose it again. Thank you! I added feta cheese, marinated roasted red bell peppers and kalamata olives to the condiment bar. Last time I shredded the chicken after cooking. This time I am going to slice before cooking. I’ll try to remember to update preference afterwards. which did you prefer? how thin did you slice it and how long did it cook? Two thumbs up from my family! Delicious sandwich with an authentic Greek salad. There are two separate sets of directions/ingredient setup for this link. it’s very misleading and causes mistakes, which I have done due to the confusion. Hope it turns out ok.
Made this for dinner last night! So delicious, Alyssa! I served it over rice instead of in a pita, and sautéed the chicken for a minute when it was done to give it some crispy edges 🙂 I’m very happy to have leftovers for the week! Whoops! I didn’t read the whole recipe and taking the description from Pinterest, I mixed the greek yogurt/lemon juice/red pepper and onion directly into the crock pot. I figure we’ll have it over rice or quinoa, make it into a “deconstructed gyro”. So, there’s that…will update: it might be amazing! One of the best dishes I’ve made in a long time. Really tasted about as good as anything I did buy in a restaurant. Definitely a keeper!